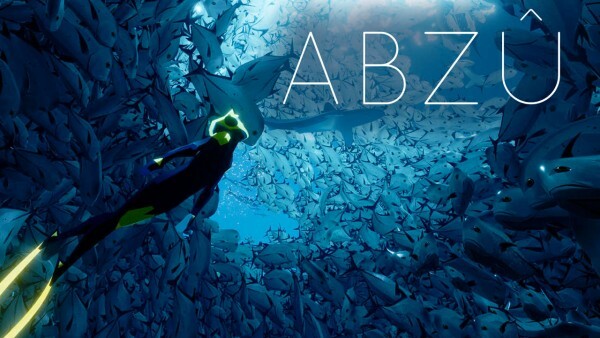 Austin Wintory recently made another big splash in the game music world with his latest score to Abzu, but his original iconic work was the score to Journey. Since then, he has landed some fantastic soundtracks, including Assassin’s Creed: Syndicate, the latest installment of Ubisoft’s franchise. 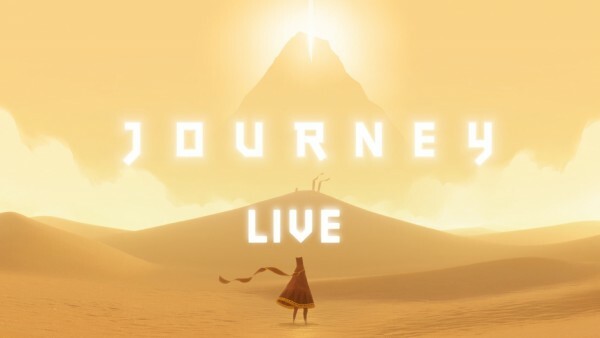 Earlier this year at MAGfest, attendees were able to witness the premiere of Journey Live, a unique event with one gamer playing through the game on stage while Austin Wintory conducted an ensemble of musicians performing the soundtrack as the game progressed. In this interview, Austin Wintory reflects on recent release of Assassin’s Creed Syndicate and the premiere of Journey Live, just one day after the concert. Emily: First, in your Q&A during yesterday’s panel, you said that you were asked to do something new for Assassin’s Creed Syndicate – different from what had been done in the other Assassin’s Creed scores, which resulted in that brand-new theme that permeated the entire score. Where did that theme come from? Austin Wintory: So there’s the theme, and there’s the way I approached it. I think there have been new themes in mostly every AC. They did say that they’d love if I incorporated “Ezio’s Family” from Assassin’s Creed II, but they left it up to me where I did it. 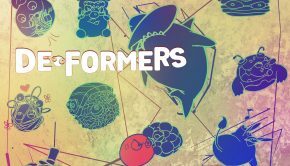 They were loose about how I interpreted that – they just said, as a branding theme, long-running fans of the franchise associated that theme with the franchise, but they said I could incorporate it how I chose. Otherwise, they said, obviously, we assume you’ll want to do your own thing. The first question was, “Is there a theme for a Jacob and a theme for Evie?” I said no, I don’t think so, because their relationship with each other is the main character and story arc for the game, and the most interesting story arc. They don’t individually migrate through the experience; as a unit, as a brother/sister pair, they go through the entire game. This makes much more sense to me – one theme that can track that element. The only point of a theme, in my estimation, is to monitor the progress of a character, or whatever else that theme is supposed to be describing. If they have no progression, then I tend to think there’s no point of them having a theme. I’m not a big fan of the character theme that shows up for that one scene. I don’t understand what that’s serving, although it depends a little on the semantics – how you define “theme.” Regarding overall aesthetic, that’s how I describe it. Ubisoft said, we’re very excited to refresh the sonic identity of the brand. We want to throw caution to the wind – musically, as well. And I didn’t think they meant it – I’ve worked with directors in the past who have said the same thing, coming out of a long-running franchise, and I’ll take them at their word on that, and I’ll send them an idea, or other music that’s in the ballpark I’m picturing, and then they’ll say, ah, no, let’s actually stick a little closer to the core brand. And I respect that – that’s cool, I have no problem with that whatsoever. Sometimes I’d be perfectly happy accepting a job just like that, because I can find my core voice within my aesthetic. With AC, they really meant that, so I said, okay, this’ll be different, and fun. I write myself a bunch of waltzes and craziness – chamber music, visceral, in-your-face chamber music, and they loved it. Emily: At the very end of the album, I noticed that’s where you ended up putting Ezio’s theme. Austin Wintory: Yeah, it’s twice in the game, only one of which appears on the soundtrack – that’s essentially the credits. It’s good to have it in a place that’s a funneling point for the players. I wanted long-running fans of the game to hear me play with that melody, so they’d realize I was knowingly abandoning the prior aesthetic, but out of love for AC. It wasn’t because I thought anybody else’s music was crappy – Brian Tyler, Sara Schachner, or any number of the other composers. It was more just, I wanted to do my own thing. But I respect the love for this legacy. The place it’s in the game where all the players will hear it is on the title screen. 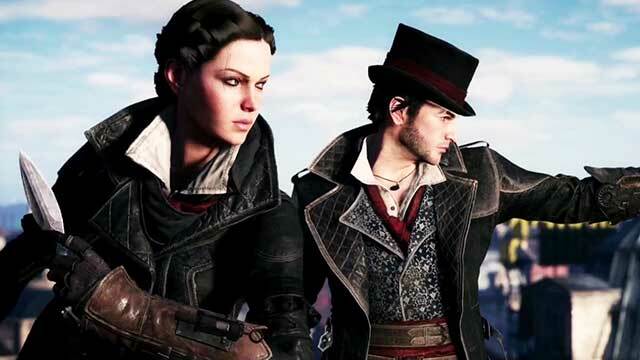 After Jacob and Evie complete their first mission, there is a shot of them riding into the sunset towards London on a train, and I quote “Ezio’s Family” right there as the train pulls away. Okay, here’s the theme so everybody can hear it, and now we’re going to move away from that into unknown territory. Emily: I liked the sort of dance system of the tracks – each of the tracks was represented by different classical dances. Especially the – battle tracks? I’m not sure if that’s the right word for Assassin’s Creed. Austin Wintory: Yeah, the combat music. That’s what we call it internally, because it’s triggered by getting into combats. But it’s not traditional combat music, it’s dances and waltzes – traditionally stately and polite, but increasingly less polite as the game goes on. 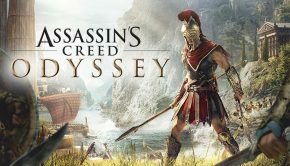 Emily: I remember when the second trailer came out – that’s the first time we heard the combat music, “Top Hats and Sword Canes.” It was a huge breath of fresh air – for the first time in an AC game, we’re hearing this sort of polished chamber music. Austin Wintory: It was so fun. It was amazing that Ubisoft was so on board with it – every time I kept going into a more off-the-beaten path place, they gave me a bigger thumbs up. I kept waiting for the moment where I’d hit this wall, and they’d say, okay, it’s been all fun and games until now, but we gotta reel it in. Every time I pushed it further, they loved it more. They got so trusting that by the time I got to Abbey Road to record, there was about 15-20 minutes of music they hadn’t yet heard, and they said, no, we’re sure it’s fine, don’t worry. I mean, this was a big, elaborate, expensive recording session, but they were so easy to work with, and just let me do my thing. They never gave me any pushback, and there was only one piece of music where they said, could this be a little louder? And I said, sure. And that was basically it. It was such a dream. Emily: Was there any piece in particular that you were worried was pushing too much? Austin Wintory: The huge finale at the end where you take down the grand Templar. It becomes almost like a piano concerto – I’d been using the piano in the white rooms, you know, where you kill someone and it goes into this out-of-time-and-space place. I was using the piano there, to be this subtle color that I could then bring forward at the end. Piano’s such a familiar sound that you don’t need much of it, but I thought it’d be fun to have this Romantic 19th century-esque sound for what is basically the final boss theme, but they said, no, this is fantastic. And then there was this one theme that I wrote that was very emotional – it was a very personal piece to me. Emily: Was that the “Underground” track from Tripod? Austin Wintory: Well, that, but this was “For Those we Loved,” one of the orchestral pieces on the soundtrack. It was just this piece where I just decided to kind of channel some grief that I was dealing with, and keep it within the vocabulary of ACS, so it still felt like the score, but it was pretty heavy emotionally. And I thought, our game doesn’t really go there, it doesn’t go somewhere that real, it’s meant to be more fun and sarcastic and exciting – not intensely emotional. I was prepared, even though this piece had been this important catharsis for me, I was prepared to have to let the piece go. But, there are some moments between Jacob and Evie, where they said, okay, this piece would work well for that. It’s actually very unusual for me to write a piece without knowing exactly where it’s going to go – I tend to never do that, to write and say, let’s find a place for this. But this one, I just needed to write, and they found a place for it that worked really well. Emily: The relationship between Jacob and Evie really develops as the game goes on, they have this tension at one point – so there are really places for that in the theme. Austin Wintory: Yeah, and it’s at the culminating moments of their friction that this piece shows up. Emily: I loved the murder ballads as well – I noticed that in the Q&A you mentioned that you had actually composed them, which I hadn’t realized. 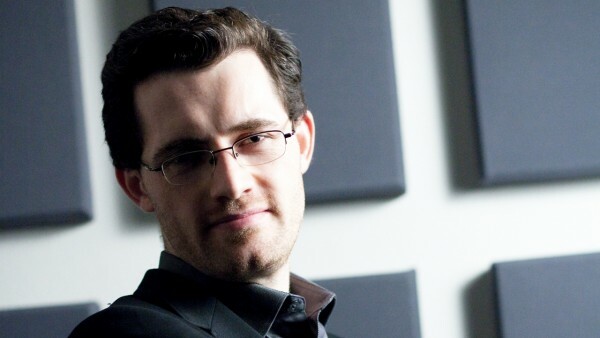 Austin Wintory: Well, I co-composed them, and it truly was co-composing. I had asked Ubisoft to hire the Tripod guys as my lyricists, but they’re songwriters, they’re not just lyricists, so I wanted them to write the songs. But I wanted to make sure they were still compatible with the score, they are pretty different from the score, but somehow occupies the same space. Plus, I just wanted them to write the song. The premise of writing songs like that just sounded like so much fun. So they’d send me sheet music of a melody and some lyrics, and I’d look at it and send it back and say, what if it did this and that – so there are a few of them that are like that. “Jokes, Jokes, Jokes” was just perfect, and I said I wouldn’t change anything. The only bit of collaboration there was that I gave it the thumbs up, and it made its way in the game. On “Underground,” it was totally the opposite, where I wrote it completely on my own and sent it to them. Emily: That was a big shift in the soundtrack – you have all of these ballads which are dark and twisted and kind of funny, and then you suddenly get this one at the end with a hugely different mood. 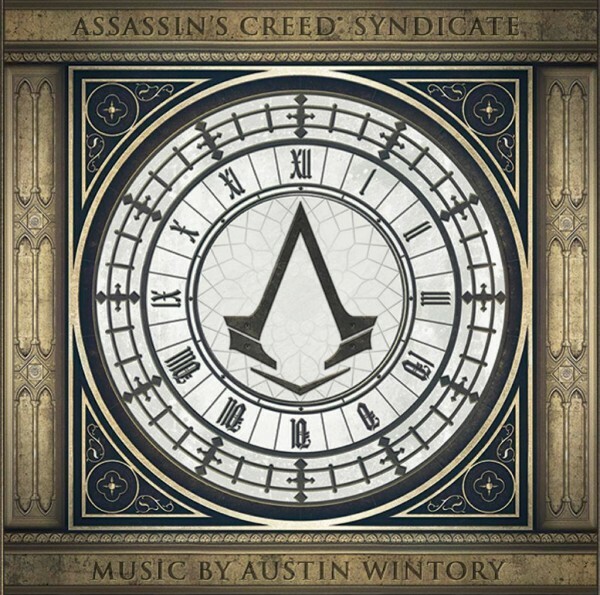 Austin Wintory: Yes! It was so macabre and glorious. And “Underground” is much more direct and heartfelt. It was like a split identity, writing this chamber music and then writing these – almost musicals. Emily: It did remind me a bit of Sweeney Todd. Austin Wintory: Yeah, I love Sweeney Todd. Anytime I’m in that territory, I have a whole lot of fun. Emily: Switching gears, you just had a fantastic premiere yesterday with Journey Live – what’s that been like? Austin Wintory: Surreal! Fantastic and surreal. I did not expect anywhere near that many people to show up. I figured – I went to the Smash Brothers Opera, which I loved. I was actually very emotional during it, because it was such a statement of love for operatic repertoire and Smash – which you can really treat as a proxy for all gaming. They said, “We love this so much, and we want to pour all of our love into it.” That’s what true love actually looks like – there were moments where I was overwhelmed because of how beautiful it was. I was surrounded by cosplayers watching a Smash Brothers Opera – I can’t tell you how many hours I poured into that game. Playing Smash on the GameCube was about 50% of my college experience. Someone had told me that that room had a capacity of 1400 people, and it was full! And I said, if half that number of people show up to Journey, I’ll be thrilled. But we had over 2,000 people show up. I don’t know what the exact number was – the staff said that we were definitely over 2,000. That’s completely crazy to me – the fact that Journey’s been out for four years, and that number of people showed up. We didn’t do anything new with Journey, there wasn’t some metal cover of Journey, we didn’t reinvent it – it’s just exactly the game, but translated into a live performance. I thought, if people played the game, they’d had their Journey moment, they’d be good. And they were an amazing audience – so into it. I loved that they clapped and cheered for the player, and when the trophy popped up, everybody went nuts, and we actually had someone joining us during the game, another online player. Emily: I saw that! That was great. 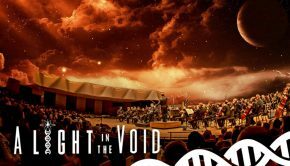 Austin Wintory: We actually had four during rehearsal – one person stayed with us for most of the game. I was a little sad that we were alone, but then when they showed up, it was so gratifying, it was great. When they disappeared, there was this moment of sadness, and I could feel that in the audience. And these musicians were so spectacular, it was fantastic. I’d never met them until the night before – we did this all over Skype. We did one rehearsal, speed-ran the game in an hour, and then we were on stage. They played so flawlessly – and it’s complicated to pull off, because I’m watching the screen, and changing the music constantly in real time, just like the game does. Emily: One thing I thought separated this from another game music concert, or even a film accompanied by live music, were the stretches of silence during the performance. Because it’s taken directly from a playthrough, those moments were part of the natural progression of the score, but also had a really positive effect on the audience. 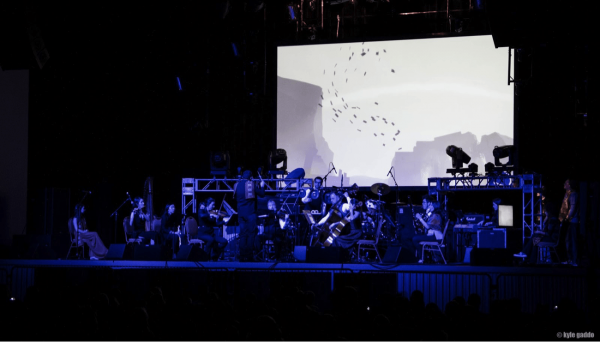 Austin Wintory: Well, and Journey itself has those moments of silence, which went into the concert. But it did have this nice side effect, like the music was taking a brief pause. It makes sense that most concerts wouldn’t incorporate those – because you’re there to hear music. On a VGL show, we sometimes banter on stage between segments, but it was very nice on Journey. It was the only break I had during the show! I could reorient my brain. I did a show with Tripod, the guys I wrote the murder ballads with. It was fun! But it was like that – going the whole night, continuous performance. This was nice to do, though and the sound design of the game is so beautifully done, so it’s nice to put it on a pedestal along with the sounds of Journey itself. Emily: One of my favorite sounds of the Journey is the little grains of sand. Listening to them shift around and crunch is a part of the experience, even though it’s such a small detail. 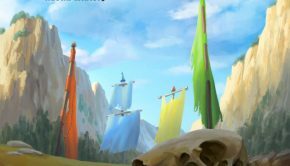 Austin Wintory: But so much work went into that – I can’t tell you how happy John Edwards and Steve Johnson who worked on that. John was the engineer who made the particle effects so that it would really feel like particles of sand scattering instead of just a hard surface, and Steve the sound designer who spent forever finessing the sound of the steps. The sound of feet is such an omnipresent sound in the game that it needs to be perfect. Emily: It sounds like it’s been a fantastic experience. Austin Wintory: I’m grateful that I get to do this for a living, and get to do things like this. This is the first time I’ve been to MAGfest. [at this point, someone ran by wearing the scarf from Journey] Wait, there’s someone with a Journey scarf right now! Oh, it’s not….but it’s very similar. Same exact colors. Maybe it is. Oh, it is! [laughs] But that’s the kind of thing I mean. I went to see The Force Awakens at two in the morning on opening night, and someone walked past me wearing a Journey scarf, and I thought, I feel so lucky to have the life that I have. I am so happy writing music, and I’d be happy whether or not I had anybody hiring me to write it, and I love it still. I’d like to think so, anyways. I feel incredibly grateful that that’s not the case – I actually have to turn things down. Every day I have these reminders about how incredibly lucky I am, and I get to come to places like this and see people so excited about these things. I’m very quick to say that if someone loves my score, it’s probably because they love the game, so I just succeeded at not ruining the game with crappy music. I’ve never been convinced that people enjoy my music entirely on its own – it’s a complementary part of an overall experience that people liked. Emily: Thank you for speaking with us! Posted on September 1, 2016 by Emily McMillan. Last modified on September 8, 2016.